When is the perfect moment for you to take the plunge into business ownership? It can be nearly impossible to tell, if a perfect moment even exists. For Helen Milic and Lisa Macchia, the “Go” button was pressed nine full years before the two ladies thought they would take the plunge into business ownership together. As much as they initially envisioned putting-off starting a business until the youngest of their children attended school full-time, in January 2005, circumstances arose where the women realized that their time was now or never. They opened the doors to their clinic three months later. As Registered Massage Therapists, the Helen and Lisa completing schooling knowing that they would be self-employed in terms of attracting and maintaining a solid clientele base. The ladies rented a room in a clinic together, and while their families were young, their highest priority was the ability to leave work at the end of the day to be present and attentive mothers and wives. When I asked Helen and Lisa the most difficult part of beginning this journey, three factors came up without hesitation: Money, Time and Family. The ladies recall an appointment at the bank in early 2005, business plan in hand, and remember how the female bank associate laughed in their faces. On paper, the finances and time needed to realize their business goals did not add up. However, nine years later, their success speaks for itself. Having the business grow more than necessary to prove themselves, Helen and Lisa attribute the opportunity to succeed to the strength of their families and husbands. Between sewing curtains, painting rooms and their mothers even taking time off work to be available for the young kids, the women could not speak enough about the community effort that was necessary to see their goals achieved. These goals of Bayview-Sheppard RMT however, are not achieved without a great deal of careful planning, daily organization and self-awareness on the part of the business-owners. The women recalled a day in recent memory where their hourly schedule seemed impossible to fit into a 24-hour period: Wake-up, make lunches, make breakfast for kids, drop off kids at school, massage, teach after work, back to the office for paperwork, make dinner, get kids ready for bed, phone meetings, check email, bed. Finally. As women, work-life balance is not an added bonus to business-ownership – it is a requirement for both women to want to continue on this journey. Owning their own business would only work for them if their first priority as mothers was maintained. The women speak of a strong want and need to be present caregivers to their children and attribute their ability to be full-time mothers and business-owners to their business-partnership. “No one truly understands what the other goes through better than we do,” Lisa says, because, in their case, the ability to lean on each other is what makes their goals possible. Mentorship outside of the advice they provide each other has played a significant part in gaining perspective and pushing their business to the next level. By deciding to enlist the support of a business coach and peer-mentorship with The Alternative Board, the women found a grounding force from where they were able to seek advice and wisdom from sources who wanted to see them succeed but were not personally invested in their business. Mostly, the women found reassurance that they were making the right choices and on the right path. As for what’s next on the path for Lisa and Helen, their goals are simple: They want to always improve their customer experience by continuing to service the needs of their loyal clients as well welcoming new ones and give back to the community that supports them. With a passion for what they do and shared values as business owners, these women ultimately want to be happy and make those around them happy. A big thank you to Helen and Lisa for spending time with me to share their story as business-owners. Does their story echo the journey you or someone you know took to business ownership? What have been your challenges and successes been? I look forward to your thoughts below! 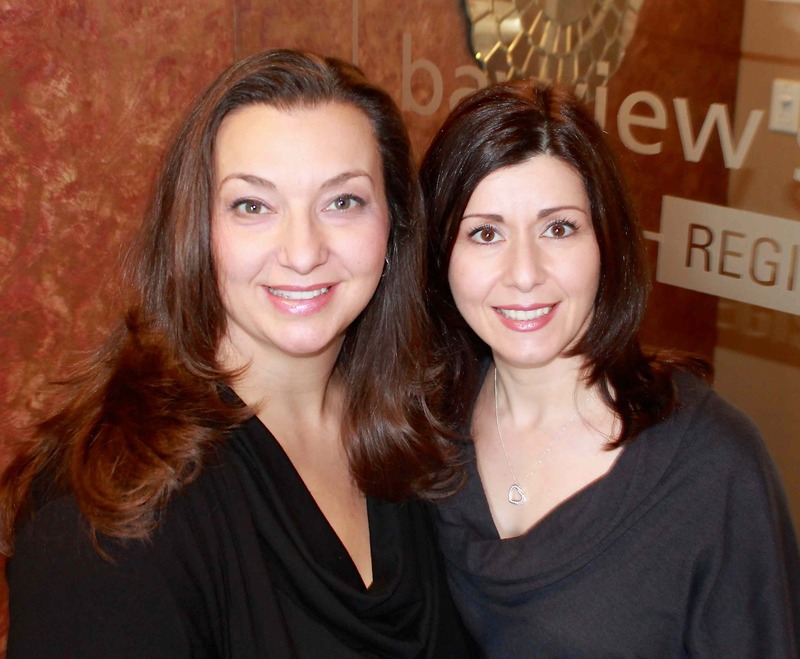 Bayview Sheppard Registered Massage Therapy clinic, founded by Lisa Macchia and Helen Milic, opened its doors on March 22nd, 2005, and began operating with only 3 registered massage therapists. Today, they have 24 RMTs on staff and perform a variety of treatments from aromatherapy and deep tissue massage, to pregnancy and hot stone massage. They strive to provide a recognized clinically-oriented health option that achieves undeniable results in the relief of an array of discomforts stemming from stress, muscular overuse and many chronic pain syndromes.